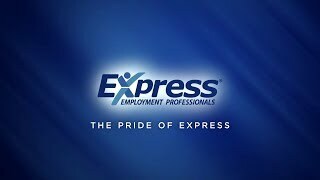 Founded in 1983, Express today employs 400,000 people across nearly 700 franchise locations worldwide. Our long-term goal is at the heart of our company's vision, to help as many people as possible find good jobs by helping as many clients as possible find good people. Work in Partnership with others to build a Stronger Community in which every person has the opportunity to be Successful! We are committed to place more people to work each and every day!